Viber is the FREE, simple, fast and most secure messaging and calling app. The messenger of choice for over 1 billion users worldwide! Text now for free and make high-quality crystal-clear phone calls. Viber is completely free. All you need is a data plan or Wi-Fi connection and you’re good to go. Make free international calls, send text messages, open a group chat, and so much more! 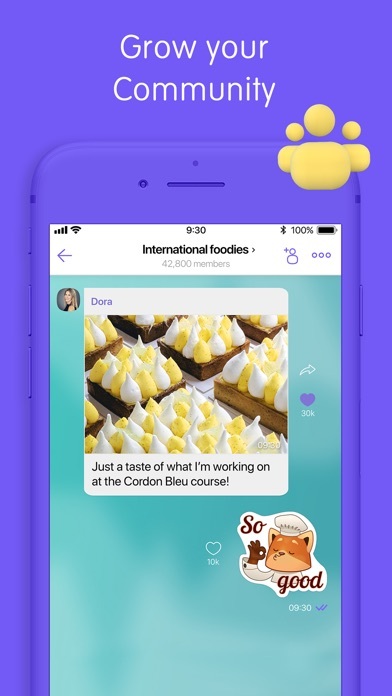 Download Viber today to connect with people, no matter who they are, or where they are from. 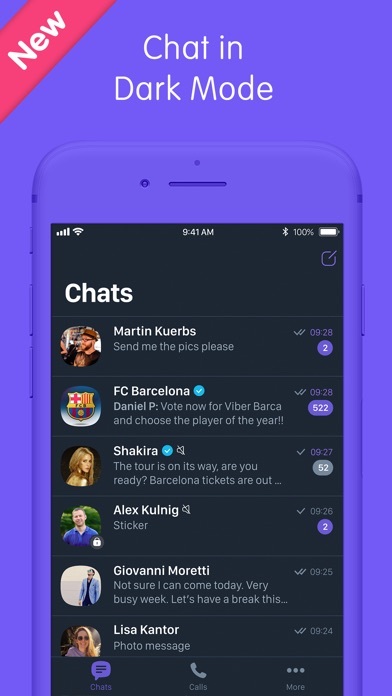 Why is Viber the best messaging app for you? Send Free Messages Staying in touch has never been easier. Send a free text message, share a photo, a sticker or GIF, a video or any other file. Make Free Audio and Video Calls Make crystal-clear audio and instant video calls to friends and family for free! Open a Group Chat Catch up with friends, family and coworkers by opening a group chat for up to 250 members. 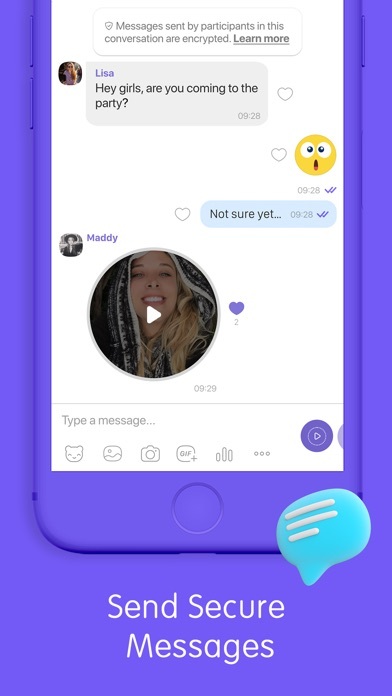 Chat and Call with 100% Privacy Thanks to end-to-end encryption, any type of information you share on Viber will always remain between yourself and the person you’re talking to. Any message you send makes its way from your device to the recipient’s in the form of an encrypted code that only their device can translate to plain text using an encryption key. Encryption keys exist only on user devices and nowhere else. 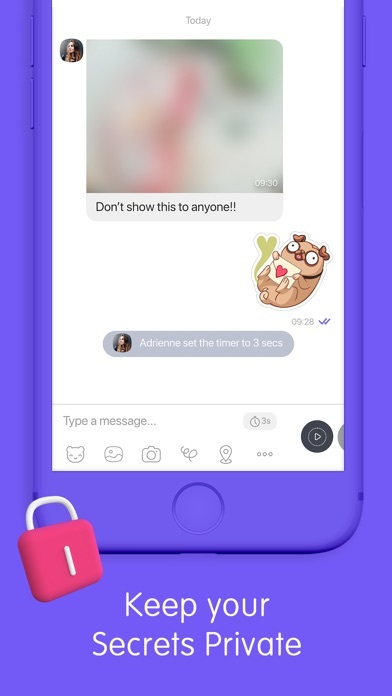 So, no one — not even Viber — can read your messages. Self-Destruct Your Secret Chats Start a Secret Chat which will let you set a self-destruct timer for every message in your conversation so that after your message is read, it’s automatically deleted from your recipient’s phone. Express Yourself with GIFs and Stickers Words can only say so much! 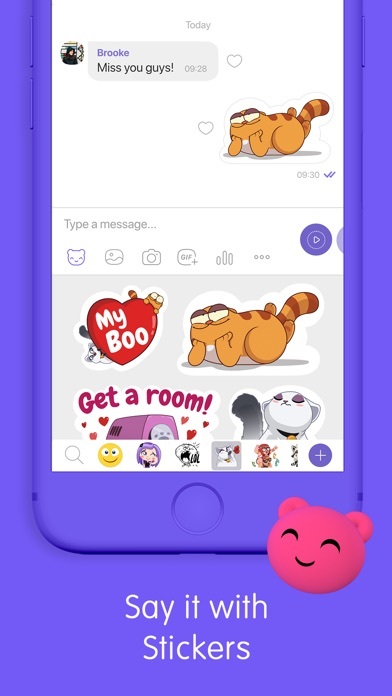 Express your every emotion with over endless of GIFs and over 35,000 stickers from the Viber Sticker Market. Start a Viber Community with Unlimited Members No matter what you’re interested in, you can now start your own Viber Community! Interact with an unlimited number of people, about a shared topic or passion. Enjoy more admin controls than ever before as well as new conversation features in a unique chat space where you get to call all the shots. Enrich Your Conversation with Chat Extensions Spice up your conversations with a variety of useful Chat Extensions including easy access to your favorite links, GIFs and videos, Yelp, YouTube, Booking, Spotify and more. 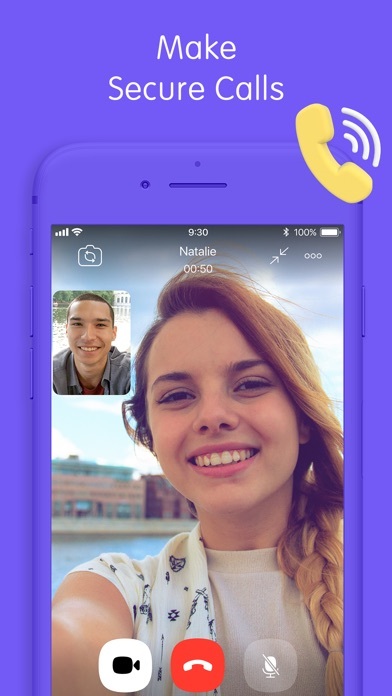 Make Low-cost Calls to Landlines with Viber Out Call landlines, non-Viber users or anyone who doesn’t have an internet service or a mobile phone with Viber Out’s low-cost international calling service. Viber Out Subscriptions are a bundle of minutes to call a specific destination, which are purchased in-app and renew monthly or weekly depending on your plan. If you subscribe via iTunes, payment will be charged to your iTunes Account when the purchase is confirmed. Subscriptions automatically renew unless auto-renew is turned off at least 24 hours before the end of the current period. Your Account will be charged for this renewal up to 24 hours before the end of the current period at the rate of your selected plan. You can manage your subscription and turn off auto-renewal at any time by going to your iTunes Account settings on your device. And so much more: ●	Mention friends in a group so they don’t miss out on anything ●	Broadcast messages to multiple contacts ●	Pin messages to the top of your group’s screen ●	Reply to any specific message within a group chat ●	Share your location ●	Exchange contacts with friends Viber is part of the Rakuten Group, a world leader in e-commerce and financial services. 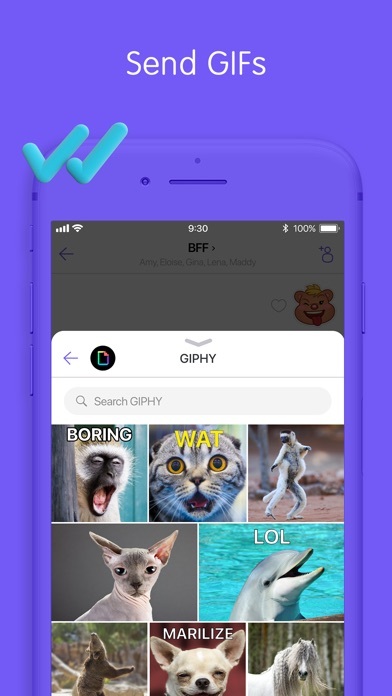 Install Viber Free Messenger Now and Start Connecting! I paid for an unlimited plan and it still wouldn’t let me make a call. Then I added cal credits and it just didn’t dial. No help line or chat to talk to. If you’re using the free features fine but don’t expect the paid international calls to work! Will you stop displaying notification numbers for a muted chats please? How do I send my chat to my email from this new version viber???????????????????????????????? Where is promised dark mode? In the settings there is just settings to change background to black or dark. You forget to add this functionality to IPad!!!!! The version 10.5.1 has dark mode option on iPhone ONLY!!! You should be able to select your favorite pics when sending pics in Viber. It currently defaults to ALL your pics. Poor planning!! Not working with iOS 10!! Avoid downloading this update, they completely ruined it. Doesn't work well with iOS 12, freezes and doesn't work. More by Viber Media SARL.